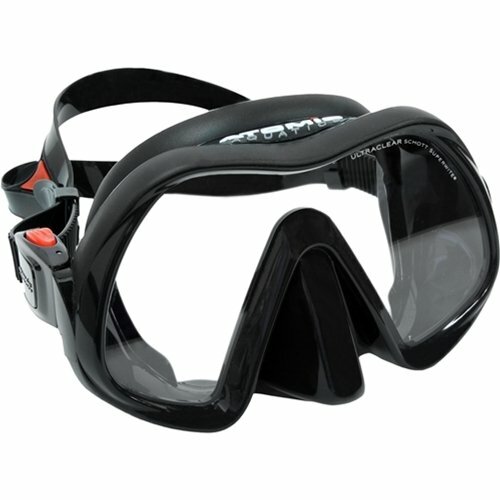 Your scuba diving mask is usually the first piece of diving equipment you will buy. 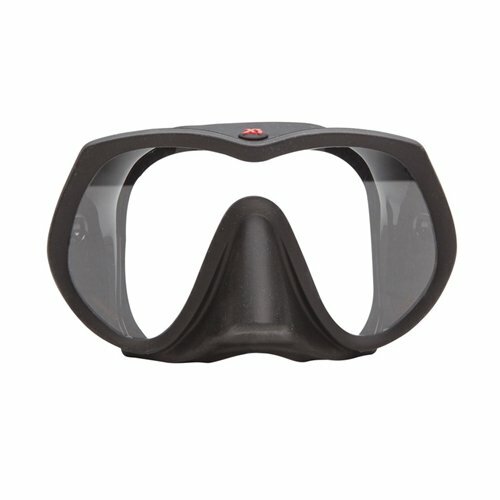 The best scuba mask will give you a great field of vision, won’t leak and will be comfortable to wear underwater for the entire duration of your dives. 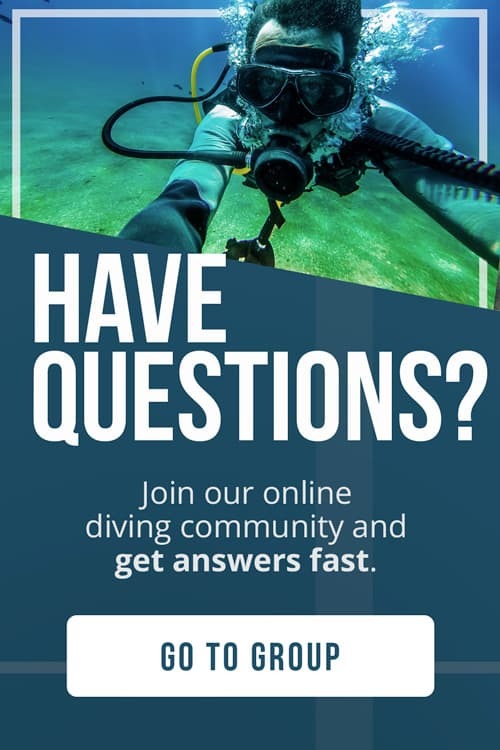 Without good vision, you won’t have fun diving. 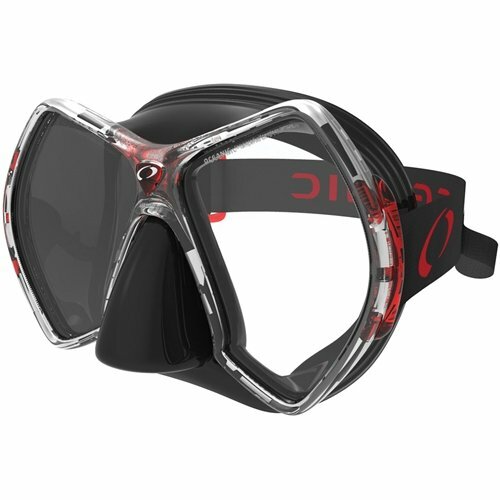 Scuba diving masks offer various ranges in price, with some being extremely affordable. But, it’s important to remember why you need a mask and what features to look for so you make the right choice. 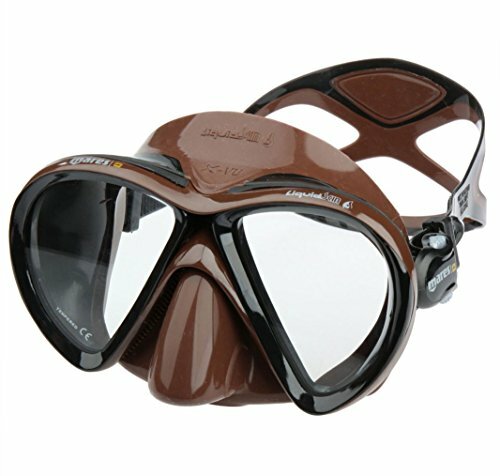 A scuba diving mask is not the same as a snorkel mask, so don’t go for the cheapest version thinking it will suffice for both. 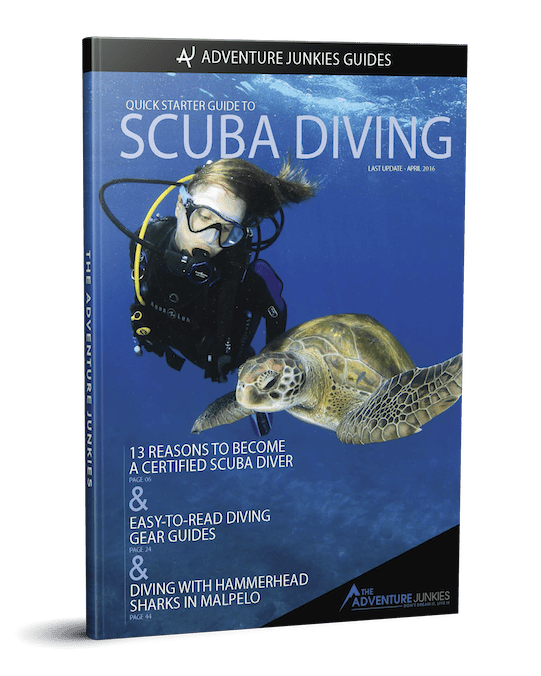 In this guide, we’re going to explain all the important features to look for in a scuba diving mask as well as show you a selection of the best models of the year to make your choice easier. 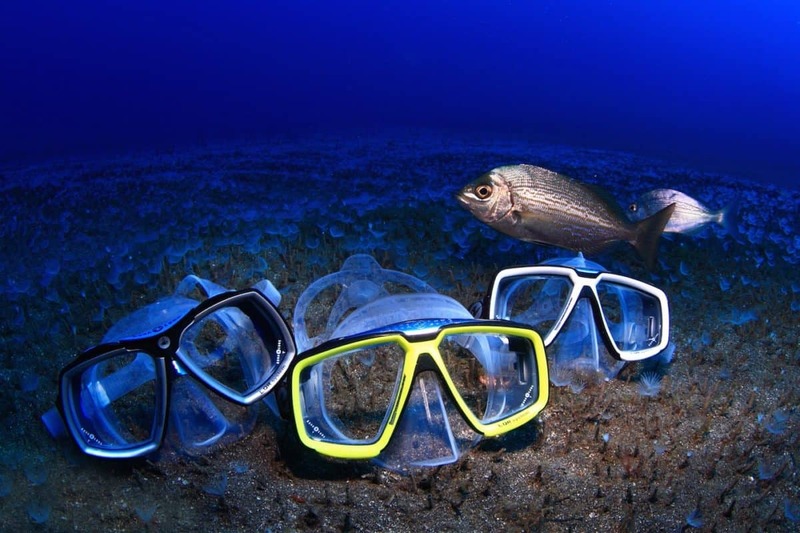 Scuba diving masks are typically made of silicone or rubber. Rubber is a cheaper material but not as durable. So, most modern masks are made of silicone. This means the masks are flexible and soft, but still durable and can provide a good seal around your face. 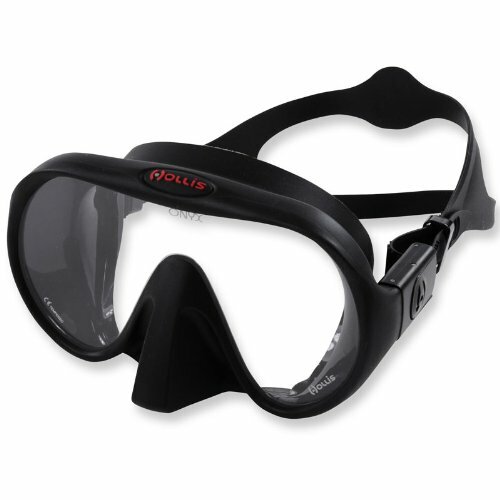 You must have tempered glass on your scuba diving mask or it won’t cope with the pressure when descending. It might also break. 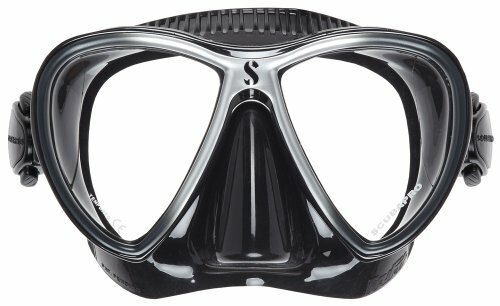 The fit is the most important thing to consider when purchasing a scuba diving mask. You can buy the most expensive, high-quality mask in the world. 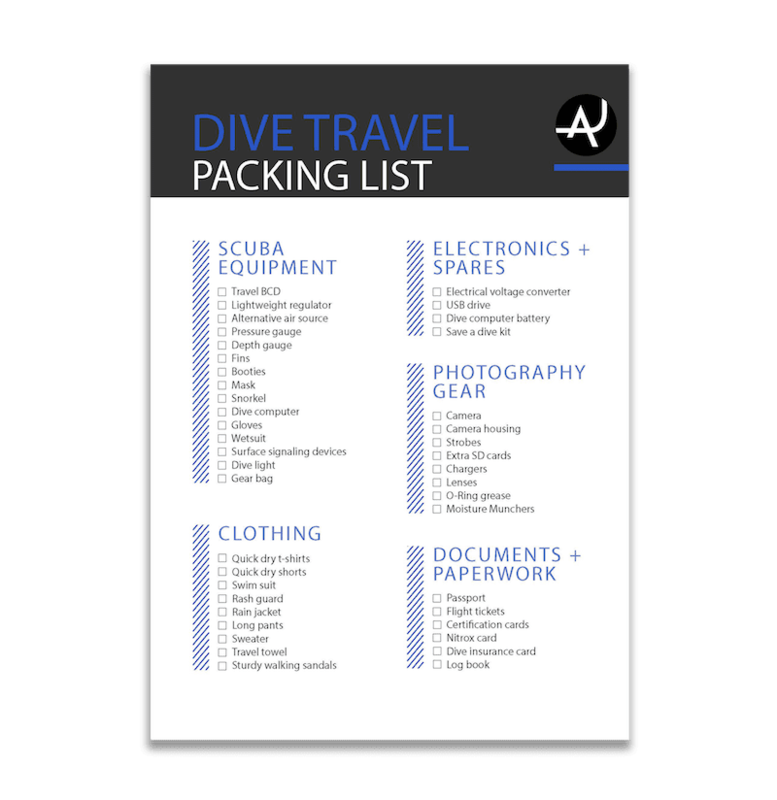 If it doesn’t fit properly though, it will ruin your diving by leaking, slipping or causing discomfort. 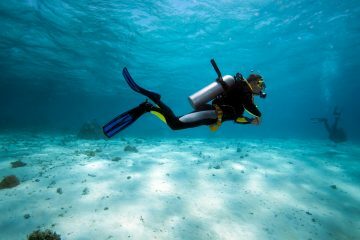 The easiest way to determine whether a scuba mask fits is to put it directly on your face (without putting on the straps) and breathe in through your nose. If the mask suctions on to your face and stays on, then you’ll know it fits. If it falls off, then it’s too big – and no amount of tightening the straps will help. 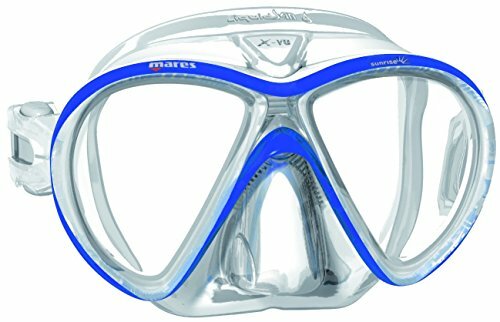 Most scuba diving masks come as two windows or single pane. A single pane is simply one piece of tempered glass while the two-window type has two panes of glass, often in a reverse teardrop shape. Remember that windows angled down slightly can provide better vision. The single pane design offers unobstructed vision but can sit very flat on the face, which can press against the bridge of your nose. You can also purchase masks with four windows – the two main ones in front with two little side panels, allowing more light and better peripheral vision. Masks come in many different colors, not just black. Some masks have clear silicone but with a colored panel around the frame. 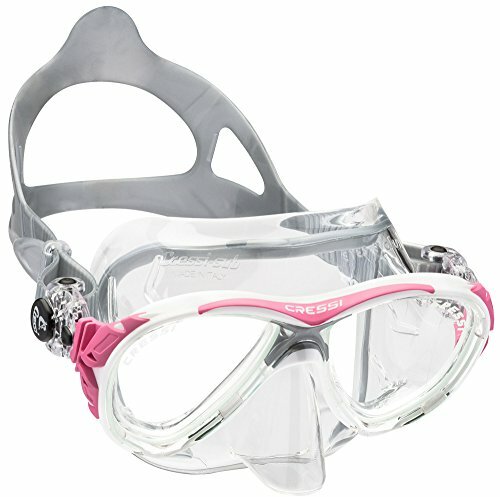 If you’re a fashion-conscious diver, you can choose your mask to match your snorkel and even your fins. If you also plan to use this mask for spearfishing, choose a black skirt to keep out glare to allow you to focus directly on your prey. 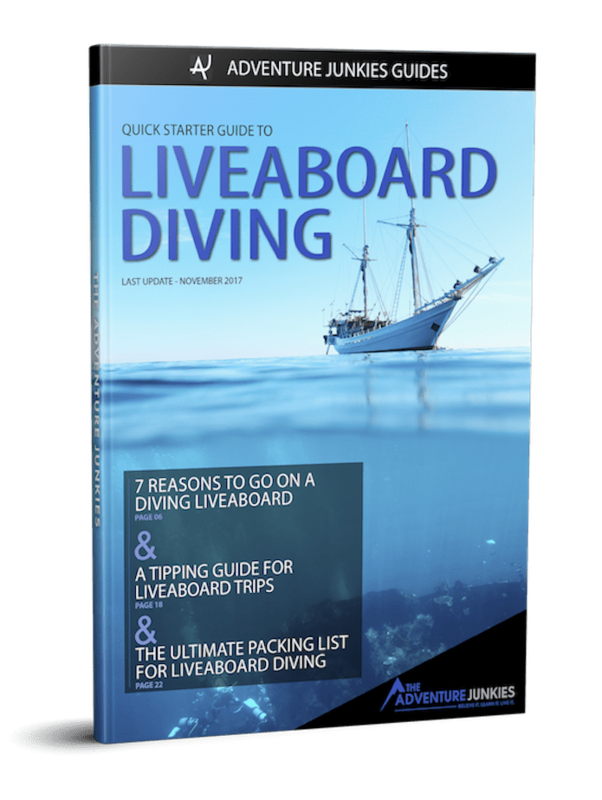 Unfortunately, most divers will experience leaky masks at some point in their lives. You can get rid of excess water the traditional way. Do this by letting the mask half fill with water before pressing the top and gently blowing out through your nose while tilting your head backward. Alternatively, you can buy a mask with a purge valve. The purge allows divers to clear their masks with a valve and breathing out. This means you won’t have to tilt your head backward. It’s a simple feature, but it isn’t immune to malfunctioning. Some divers say the purge valve is a bit gimmicky. This feature may be beneficial though, especially if you struggle to clear your mask or are often diving carrying photo equipment. But, you’ll have to hunt around to find one these days. 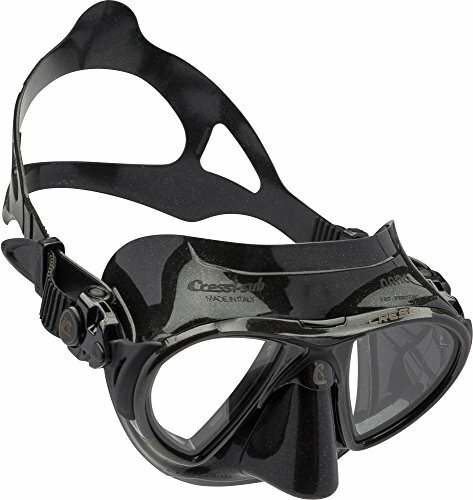 You want to be able to adjust your mask to fit properly, so choose one with easy-to-use buckle adjustments. The best models are ones with a buckle attached to the skirt of the mask, which helps keep the skirt sealed against your face when adjusting.